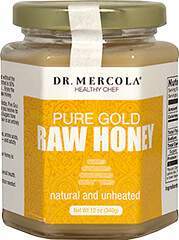 Unlike other brands of honey you'll find on the market today, Pure Gold Raw Honey has not been filtered or heated. 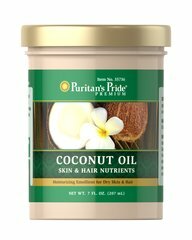 This ensures you receive its full nutrient benefits. 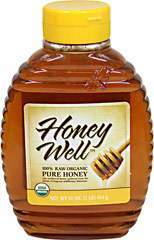 And while processed and artificial sugars been linked to many health concerns, Pure Gold Raw Honey is an entirely natural choice with many health-promoting qualtiies. Manuka honey is sourced from the flowers of the manuka bush, a shrub that is related to tea tree and native to New Zealand. Manuka is renowned worldwide. Wedderspoon has over decade of experience sourcing only the most genuine, best and purest Manuka honey, offering the first Non-GMO project verified Manuka honey. 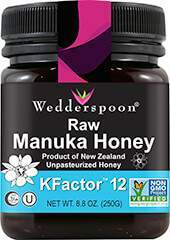 Enjoy Wedderspoon Manuka just how nature intended, our honey is 100% raw and unpasteurized. KFactor™ guarantees high manuka pollen count, 12 certified 65% or more manuka pollen in every jar and is a rating system approved by the New Zealand government.